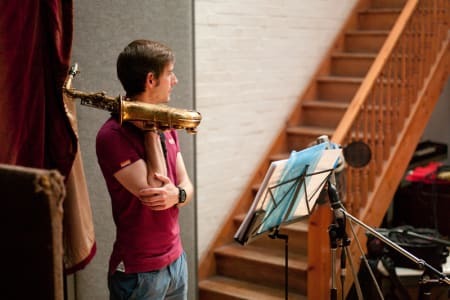 With an outstanding CV that highlights his work with the BBC Big Band, X Factor, London Jazz Orchestra and London Big City Band, as well as vast experience across musical theatre, Tommy Andrews is a well-known saxophone and clarinet musician in London and beyond. And Tommy is not only an exceptional musician, but he is also a fantastic teacher. With a strong passion for teaching, Tommy loves nothing more than inspiring children with music and many of the pupils that he has worked with have gained entry to scholarships at some of the UK’s top schools and junior departments including The Royal College of Music Junior Department, King's College School, Wimbledon Hampton School. 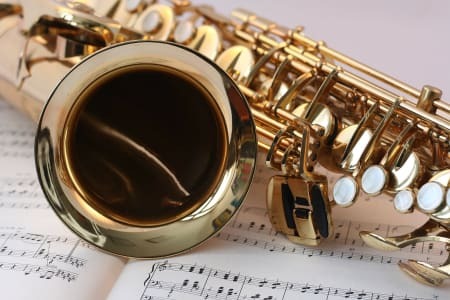 Holding a Saxophone and Clarinet teaching position (3 days) at King’s College School (The Times Secondary School of the Year 2014), as well as freelance coaching all over the U.K, if you are looking for Saxophone or Clarinet lessons, look no further than Tommy. Tommy Andrews is not currently an approved Obby partner. For the full list of our Music classes please click here. If you are Tommy Andrews and would like to become an approved Obby partner, please click here.